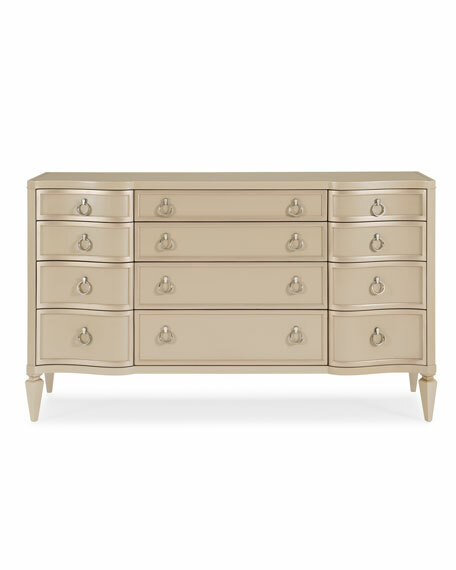 Destined to be an heirloom, this triple dresser is truly something special. It features an exquisite silkscreen design painted on its shaped top. 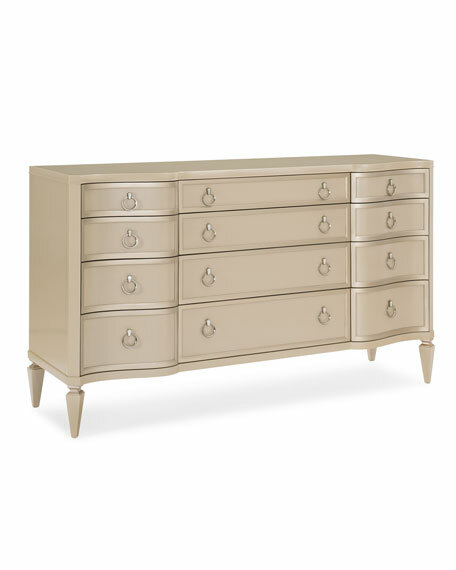 Twelve spacious soft-close drawers make it easy to keep everything in place, while its classic design features a luxurious radiant pearl finish with sparkling argent accents on select moldings. 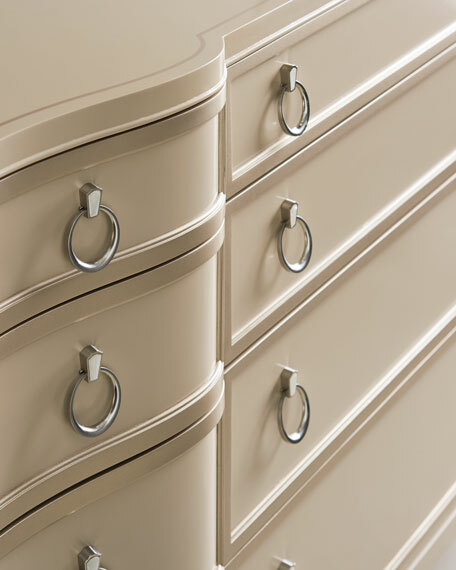 The overall effect is one of timeless luxury and everyday elegance. 66.5"W x 20"D x 40"T.
Boxed weight, approximately 324 lbs.